Peggy Whitson’s entry in the NASA history books is going to be a long one. Was that sound a woman breaking through the glass ceiling, or merely the Earth's atmosphere? 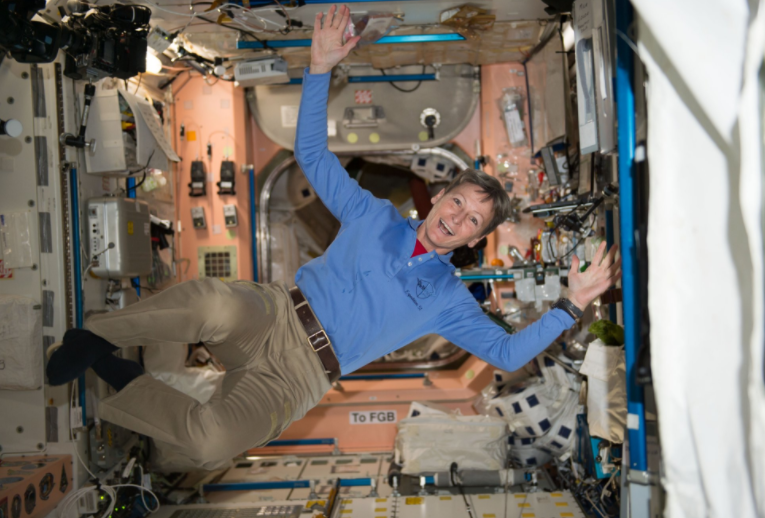 It turns it out NASA astronaut and science superstar Peggy Whitson, 56, may have done both. Whitson broke the NASA record today, previously held by a male astronaut, for most time spent in space on her third tour of duty at the International Space Station. As of 1:27 a.m. EST, Whitson had spent a total of 534 days, 2 hours, and 49 minutes, blowing past the record held by Jeff Williams, who only had 534 days, 2 hours, and a mere 48 minutes floating out there in the land of E.T. But for Whitson, it’s just one more record to add to her entry in the space history books. She is also the first woman to command the International Space Station twice, the oldest woman to fly in space for NASA, and the world’s most experienced female spacewalker. She also was the in charge of NASA's astronaut office and the first female commander of the Space Station during her 2008 trip to orbit. Whitson previously flew to the space station in 2002 and 2008. President Donald Trump called Whitson from Earth this morning to congratulate her on her accomplishment. Whitson said that it was “an honor for me to represent all the folks at NASA who make spaceflight possible and who make me setting this record feasible,” according to CBS News. "Well, that's good. I'm glad to hear that. Better you than me,” Trump said. The record-breaking space explorer will stay at the space station until September, when she’ll have accumulated 650 days in space.